I recently purchased a dell XPS 13 2 in 1 and it worked fine. I updated the latest version of all drivers from the Dell site and also updated windows 10. Now the laptop intermittently freezes for 1-2 seconds often. This happens in general browing, typing and watching you tube videos. I am not able to understand what is causing the issue as it worked fine before updating the drivers. Any help would be appreciated. What is the exact system model? Was the system freezing before you updated to Win 10 or did the issue start only after updating to Win 10? Does this happen with or without the adapter connected? 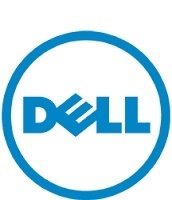 Update the BIOS - http://dell.to/1n3X2po - enter the service tag and download the BIOS, update and restart the machine and check. Restart and check in safe mode with networking. If the issue is unresolved, then restart the system and press f2 to enter BIOS - leave the system in BIOS with the adapter plugged in for as long as possible and check if the system freezes while in BIOS - you would notice there is a system clock ticking in BIOS - if the system freezes, then the clock would have frozen as well. I had earlier updated the BIOS with the latest version and updated all other components of dell as well after which I started facing the problem. I ran the diagnostics in f12 and all the tests passed. I noticed that in BIOS also my mouse just hangs for a fraction of a second. I reset my laptop and reinstalled windows but the same issue exists. When in BIOS, you have stated that "I noticed that in BIOS also my mouse just hangs for a fraction of a second." Did the system clock freeze in BIOS at that point and then resume? Kindly confirm this, as it might be a hardware issue. Also, please private message me the service tag, so I could check the warranty details. I can't see the clock in the bios. The mouse was hanging just for a fraction of a second. Sometimes my web browser hangs for 1-2 seconds while loading the webpage. The only place I have really noticed a delay is when I do a two finger scroll. It seems if I don't put the fingers down first, the scroll will delay a second or so. There are many things running on these systems which take processing time. From Anti-viruses to Waves audio polling the Audio plug for activity. If it is really bad you may be able to see something jumping to the top of the CPU utilization column in Task Manager. If Task Manager doesn't find anything you might go up to the Resource Monitor and if that doesn't help you could try Process Monitor from System Internals. I would check for you but since I have not seen the problem you seem to have it would do no good. I have updated my system with a higher quality M.2 PCIe SSD. It's very strange on my laptop, when running a youtube video , if I open another tab, the firefox browser takes more than 100% of the CPU and it hangs for 1-2 seconds. Same thing with chrome as well. I don't recall this issue when I used the laptop out of the box and remember that this happened after I updated from dell and windows. Since I reset my laptop, I'm thinking it is one of the firmware updates that is causing this issue. Bios and Intel Chipset update. Kindly test the system in safe mode with networking and the builtin admin account as advised in my previous post. If you are running Chrome, it eats up a lot of system memory .. you might want to check how yours is doing. I do not know about Firefox. Ruhmon, I think I have the same issue and was able to find a solution. When I go to Task Manager(ctrl+alt+del) then Performance, I'm only getting 0.3GHz of speed! I disable SpeedSet BIOS (Reboot then F2 to access BIOS). In BIOS, click Performance tab and UNCHECK enable SpeedSet. It may reduce battery life to 1-2hours but increase speed dramatically! You can check back Task manager after disabling SpeedSet. My speed became 1.29GHz!! Hope this helps.